Back in June at the Jamba Juice event in Chi-town, I got to meet Cassey of Blogilates. With a huge following and tons of awesome free workout ideas and routines, she’s pretty awesome-sauce and sweet as can be. So when we decided to put together this first-annual Fit Bottomed College Fitness Week, I knew she’d have just the workouts to feature! Perfect for your apartment or dorm room, these workouts don’t require a lot of room nor do they need equipment. They’re super fun (especially that last one—we had to include!) and just right for the college life—whether you’re actually in college or just remembering your collegiate glory days like we are. Grab a textbook and get to lunging, ladies! 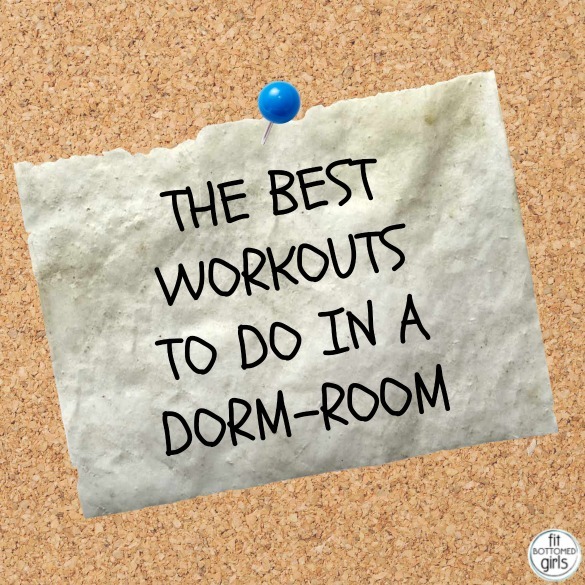 This workout is perfect, especially when your roomie is snoozing! Ten moves for 10 reps each gives you the super effective and full-body 100 workout. Try it! PSY GANGNAM STYLE Cardio Dance Workout!